The 2017 lineup of the annual Halloween Series from Hot Wheels have been revealed, and they’re pretty badass. 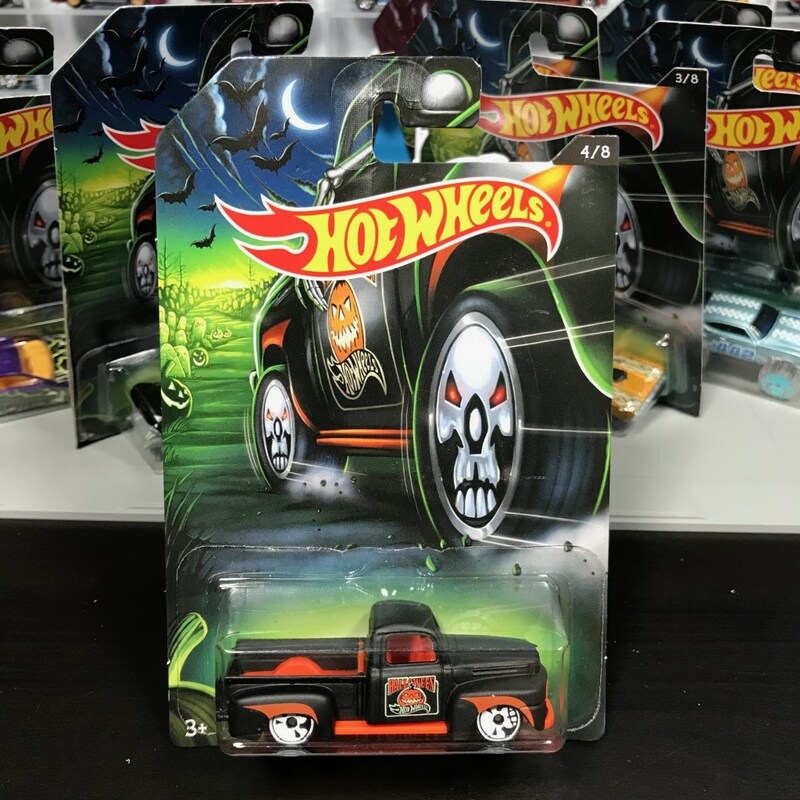 Orange Track Digest broke the news that all eight of this year’s Hot Wheels Halloween Series vehicles had shown up on Ebay months ago, featuring a brand new killer “skull” wheel. Traditionally the Halloween series has been exclusive to a certain retailer (or retailers), so we’re awaiting confirmation on where you can find them this year. Last year, the Halloween series started showing up at some retail stores as early as late July, so keep your eyes open and let us know when you spot them in your area. And just this week, Lamley Group actually found some of the Hot Wheels 2017 Halloween Series at a local Wal-Mart and shared some photos and video, which you can see below.